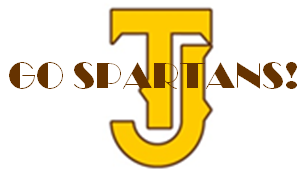 The TJ Boys Tennis season is quickly approaching and it’s time to get out on those courts and get ready for a great season. Also, get those Athletic forms turned in at registration next week to get your GOLDEN TICKET The following documents must be completed to get your GOLDEN TICKET to be able to participate in practices beginning on August 6th at 4:00pm. Official Team Practices and Challenge matches begin Monday, August 17th at 3:15PM. FUNDRAISER OPPORTUNITY! The boys will be selling Colorado Open Tennis Tournament Spectator tickets as a fundraiser this year. We will have 150 tickets to sell at $10 each. $5 from each ticket sold will go back to the TJ Boys Tennis team as a fundraiser. Tell all your tennis buddies now and plan to sell as many as you can. Tickets will be available from Coach Pam on Monday, August 17th. The tournament will run from September 18th – September 27th so there will be lots of opportunity to get out and watch some great tennis. Please do not hesitate to let me, Coach Zinke to know if you have any questions.